My name is Kyla Jo Tighe. I was diagnosed with type 1 diabetes at the young age of 7 years old. I am now 21 years old and a senior at Ball State University obtaining my bachelors degree in Photography and Intermedia Arts. I decided to start a blog for kids, teenagers, young adults, parents and anyone who may be diabetic, know a diabetic, or wants to learn more about type 1 diabetes. I have attended camp since I was diagnosed and have gotten close and formed a family with other type 1 diabetics like myself. Some diabetics are not as fortunate as I am, and may be lonely in their journey with diabetes. I have learned that knowing other diabetics like myself has made living with type 1 diabetes a lot easier and more enjoyable. I tell people that type 1 diabetes is like brushing my teeth, I have just made it part of my every day routine. I want to share my own stories and experiences so that it may help fellow diabetics who are in search of answers find those much needed answers. Here on my blog you will find personal stories (some funny, some serious), facts, information, photographs, inspirational quotes, and much more about living with type 1 diabetes. I hope that you find joy and comfort in my blog and that you share this with others who may need that joy and comfort. My inspiration behind the blog name, “Diabetes and Donuts” stemmed from a young age, of adults telling me, “No you should not eat that!” and “I brought sugar free candy/treats for you instead.” All of you with type 1 diabetes know that you can eat whatever you want, just like everyone else. You just manually dose for the carbs with insulin shots or the insulin pump, instead of your pancreas automatically correcting for the input carbohydrates, like those without type 1 diabetes. 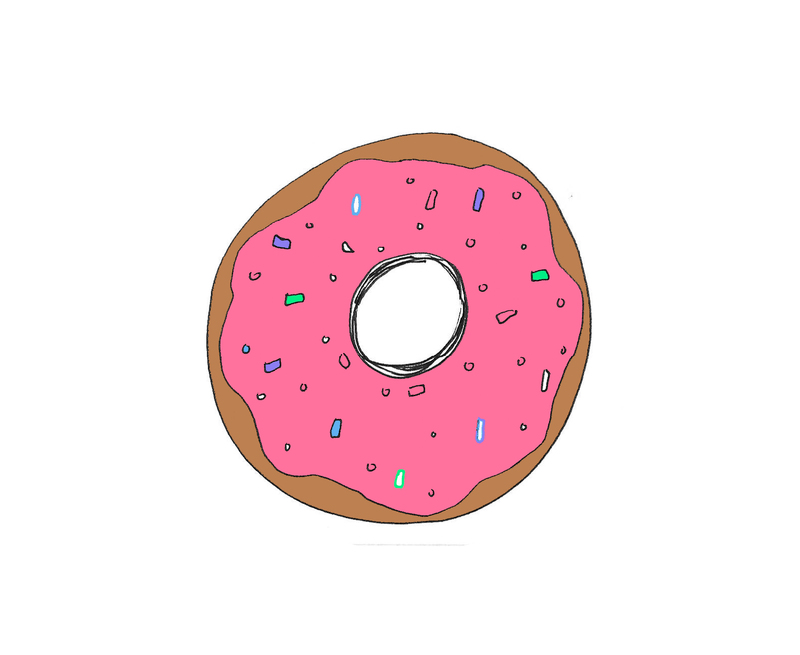 As a response to being told no to donuts and other sweets at a young age, I decided to address the topic within a blog as well as in my art work to show that as a diabetic I can do anything anyone else can do! I hope that you enjoy this blog and please feel free to share with others as well as sending me your thoughts and opinions! I am willing to share other’s stories as well, just shoot me an email at kjtighe@bsu.edu with any suggestions, questions, or ideas for future and past posts. Found you because someone shared your “11 struggles…” post. My newly diagnosed 11-year-old T1D and I had a great laugh. At first I thought about blogging our journey but I figure I’d just journal it and hand it over to him when he is older. So glad your mother knew the signs and kept searching for answers. I did a lot of kicking myself because I knew the signs but was finding excuses for each. Finally, I called the doc and basically said hey I have two T1D uncles and I see the signs, help me. It is not easy for a mom to see something wrong with their perfect little angel. Give yours a big hug. I too hope to make T1 like brushing teeth. I tell friends who want to limit him – Kid First Diabetes Second – I’m packing insulin! aw this is amazing and I am so glad that you found my blog! You sound like an amazing mom to your son! Thank you for sharing your story! This is my favorite part of having the blog is hearing others stories! Thanks!